Today's Piri Sojourner is Ute from Expat Since Birth. I love reading Ute's posts on linguistics topics as I think she makes even complicated topics very accessible. Here she explains and outlines some of the differences between Swiss German and standard German. 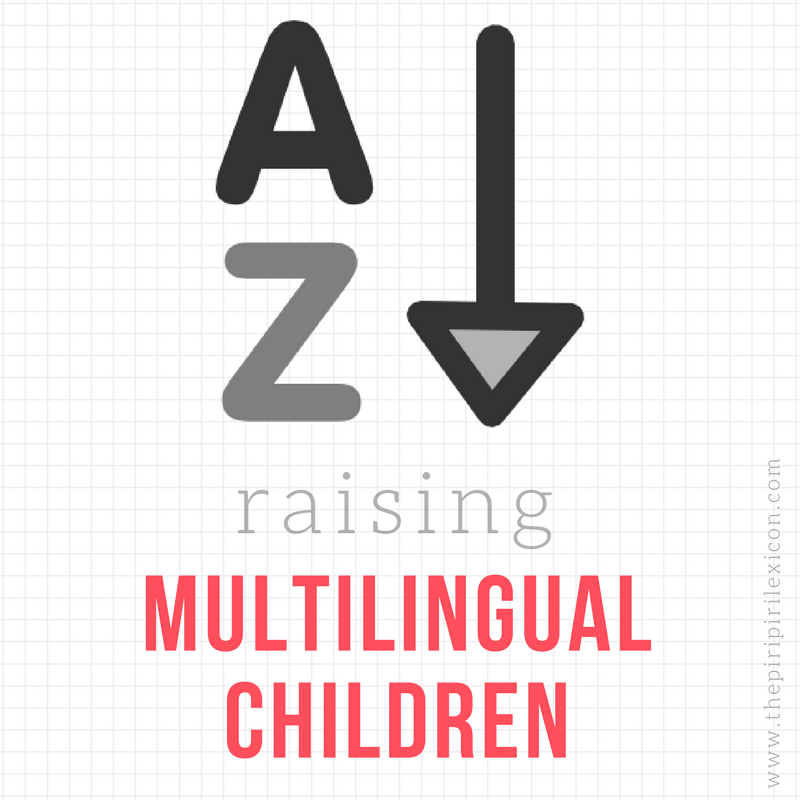 As my fellow bloggers, the Babel family, have just announced they are moving to Switzerland and will have to learn Swiss German as opposed to the German they have exposed their daughters to so far, this post is dedicated to them. When visiting the German speaking part of Switzerland, linguistically unprepared people think that there is not really a difference between the Swiss Standard German and the Standard German (spoken in Germany). A part from the spoken variant in this region, the Swissgerman, which sounds completely different from the Standard German, there are some differences that can be noticed in the spoken and written language. 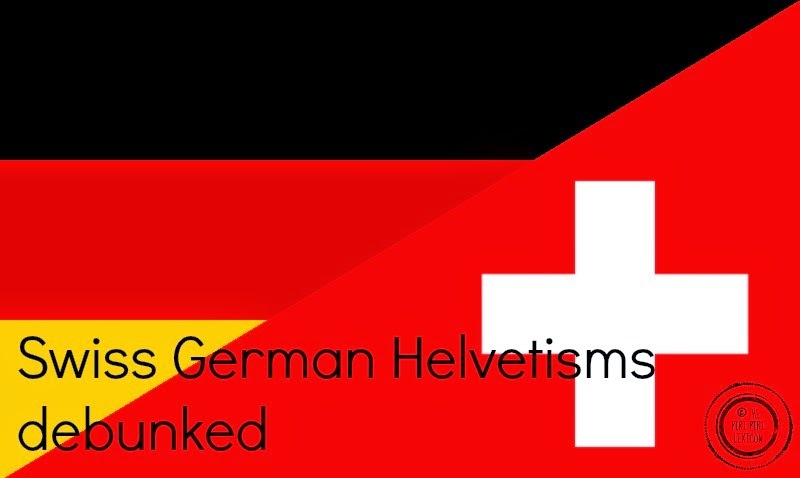 The Swiss Standard German uses helvetisms, a group of words that are typical and do not appear in either of the Standard German or Standard German dialects. Helvetisms can be spotted in the vocabulary and the pronunciation and furthermore they denote themselves in syntax and orthography. The Duden, which is the definitive work for German orthography explicitly declares a number of helvetisms as correct Standard German – adding the annotation [schweiz.] and denoting that the usage of the word is limited to Swiss territory. Helvetisms are used consciously and unconsciously by Swiss German native speakers and can be found throughout the whole literary work of Swiss literature (Jeremias Gotthelf, Tim Krohn, Peter Bichsel etc.). Words like Beiz (germ. Kneipe) for "pub" or Kasten (germ. Schrank) for cupboard/cabinet/closet are very common. Other authors refrain from using helvetisms in their literary works as for their readers are known to be located all over the German-speaking territory. When I moved to the Swissgerman part of Switzerland I already had a passive competence of the language and being a native speaker of the German surely helped a lot to learn this new language, but I had to learn many expressions that sounded similar to German but had other meanings. Listing up all the Helvetisms I noted during the long years spent in Switzerland would go beyond the constraints of this post, therefore I choose 20 Helvetisms (in alphabetical order) among those I presonally found the most interesting. In German, "angefressen" usually means erodet and has a negative connotation (annoyed, upset) in Standard German and Austrian German, whereas in Swissgerman it means the contrary: "begeistert" (i.e. "von etwas angefressen sein...") "to be enthusiastic, excited", keen. If someone tells you that he or she is going to "abmachen" with you, they don't mean that they want to unfasten or untack, take off something from you, but that they want to arrange an appointment. Ex. "Wir machen morgen um 12 Uhr ab" means "we'll meet tomorrow at 12 o'clock". 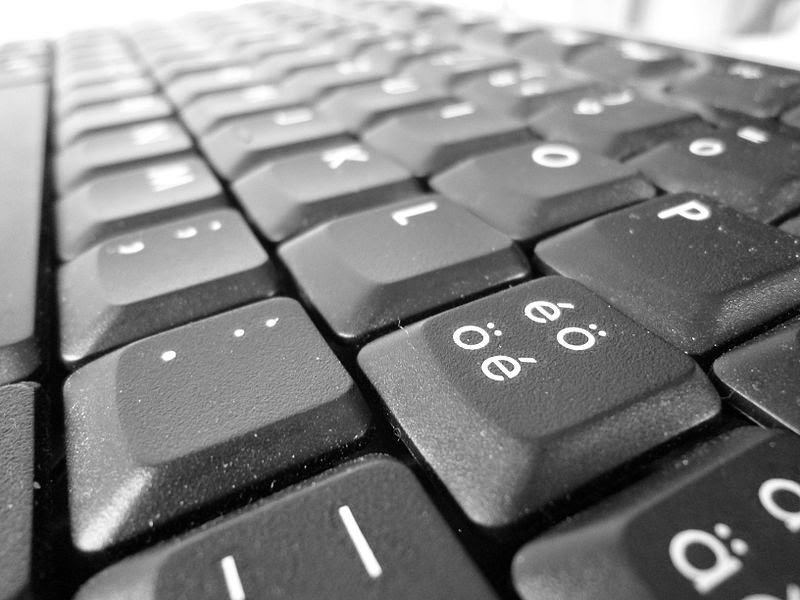 When you enter a Restaurant or a home, you'll be asked if you would like to ablegen (cfr. "Möchten sie ihren Mantel ablegen?") which also for Germans sounds a bit odd, because you would think that you're asked to shed your coat. Whereas you're simply asked if you would like to take off your coat and hang it up. When you're asked to please absitzen (cfr. "Bitte setzten sie sich ab") you're not asked to serve some time in prison – like the term would suggest in Standard German – , but to please take a seat. If someone tells you that they had an Aufsteller this doesn't mean that they possess a standee, but that they received good news. And when the Verb is used "ich bin aufgestellt", it doesn't mean that someone just set him up, but that he's happy. When someone tells you that he has been in the Ausgang, it doesn't mean that he has been in the exit and it doesn't mean that there has been any kind of denouement or outcome. He simply tells you that he went out on a date. In Switzerland you can receive a letter or an email with a Beilage – in German this means a supplement, a garnish on a plate – meaning that there is an attachment. At dawn, when the sun sets, Swiss German has a Verb for it: einachte (cfr. "einnachten", in German "es nachtet ein", "Nacht werden", "dämmern") which, also in the Duden, is marked as Swiss German. If someone tells you that they have boxes in their Estrich, this wouldn't mean that they have a special floor screed (this is what Estrich means in German) but that they have it in their attic (Dachboden in German). When you enter a home in Switzerland it can happen that you're offered Finken. You'll not be offered finches (Finken in Standard German), but slippers. It is common to take off your shoes when you visit someone's home in Switzerland. If your car needs a service you'll bring it to the Garage and not to the Werkstatt like you would call it in Germany. When someone tells you that he glätten something, he probably will not smooth, burnish or straighten his hair: he'll simply iron instead (in Standard German: bügeln). If you're asked to gumpe, you're supposed to jump (German: springen)! When Swiss Germans tell you that they're going to laufen, they are not going to run or to jogg. In Swiss Standard German (and Swissgerman) they would just go for a walk. Whereas when they say that they need to run to catch the bus, they say springen (i.e. the same word in German means jumping). The Swiss tend to call their mobile phone Natel. Natel is a brand name and did also originally denote the "Nationales Automobiltelefon" (national car-phone). This sounds similar to the Standard German parken but the ending -ieren makes it sound different (like many other Verbs ending in –ieren in Swiss German). Parkieren, umparkieren in Swiss German means "einparken", "ein Auto woanders hinstellen", to park a car. This is something I still argue with my husband: when he says he'll boil water in the Pfanne (pan) to cook pasta, I correct him and tell him that he should rather use a Topf (cooking pot). But in Swiss German, they use Pfanne to determine both of them. When Swiss Germans, Germans from the Southern part of Germany or Austrians taste a dish they like, they'll say es schmeckt gut. But they would say the same when they smell something they like. In fact they use the same word for taste and smell. I still smile when someone tells me that he'll "give me a telephone" – ich geb dir ein Telefon – because I really don't need a new one. Fact is, that he means that he'll call me. When someone says that he will zügle, he doesn't mean that he's going to tame someone (cfr. zügeln in Standard German), but that he is actually going to move from one place to the other. "Ich geb dir ein Telefon wenn ich zügle, sicher noch vor dem Einnachten, damit wir abmachen können wann wir gemeinsam in den Ausgang gehen." I can see this will be fun... wonder whether I will still be able to understand my daughters after a while. I laughed quite a bit!